Welcome to your Rockford MI Dentist! Dr. Stewart and Dr. Hull welcome you to their dentistry practice in the Rockford MI area. Your Rockford MI dentists care about you, and are committed to providing high quality, meaningful, dental care in a comfortable, relaxing environment. At our practice, we make your oral health and happiness our first priority. We get to know your individual needs, and smile goals, and make sure each patient is informed and able to make educated decisions involving your oral health. Our office is a spa like environment filled with patient amenities and a friendly outgoing staff. RESTORATIVE & COSMETIC DENTISTRY – At our practice, your dentist near Rockford MI will work with you to improve and fix the appearance of your smile with our wide range of cosmetic and restorative dentistry services. We offer teeth whitening and porcelain veneers as well as a porcelain crowns, fillings, and other restorative dentistry treatments. If you have a problem with your tooth, we can fix it, and give you the smile you’ve always wanted. INVISALIGN CLEAR BRACES – Invisalign braces are a clear plastic alternative to traditional braces. With Invisalign you don’t have to worry about metal or wires. 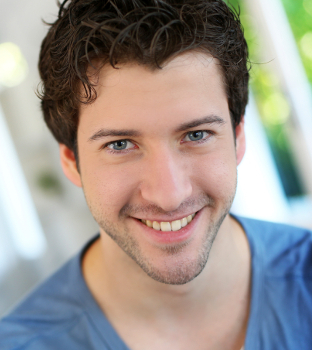 Invisalign braces are clear and undetectable. No one will be able to tell you are wearing braces. If you want straight teeth, but don’t like the idea of traditional braces, Invisalign may be the solution that gets you the results you’ve been waiting for. GENERAL & FAMILY DENTISTRY – At our practice in Rockford MI, we strive to prevent dental problems for our patients. Patients are recommended to come in for a check up and a cleaning, every six months. The earlier a problem is detected the easier it is for your Rockford MI dentist to fix and to provide the care that you need. Our practice is a family dentistry practice that serves patients of every age and background. To learn more about us, our services, or to schedule an appointment, you can reach us using the contact form or the phone number at the top of this page. You can also find this information along with directions to our office on our contact page. We look forward to providing our Rockford MI dental patients with an outstanding dentistry experience!